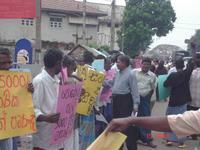 The protest at Galle had been so fruitful, because they were able to direct the attention of the officers of the D.S. Office. They were standing in front of the D.S. office with slogans and the banners. They were able to make a good voice since they had 2000 people. It is good to appreciate the commitment of the participants, because, they were having the protest amidst of the heavy rain. They submitted the petition to the Substitute D.S. Secretary, W.Weerakoon. 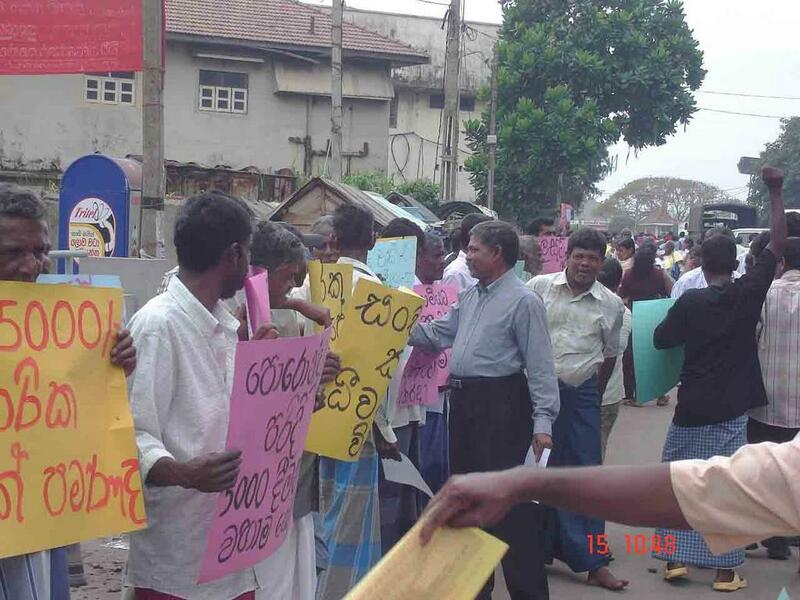 He accepted it in a positive manner and he appreciated conducting the protest without representing any political parties. 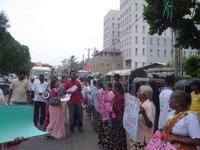 Further he asked why the National Fisheries Solidarity has intervened this tsunami process. From tomorrow all the D.S. Secretary offices will be informed to look at all the corruption taken place and to take necessary actions to remedy them. Also he promised that all the petitions will be given immediately as possible.